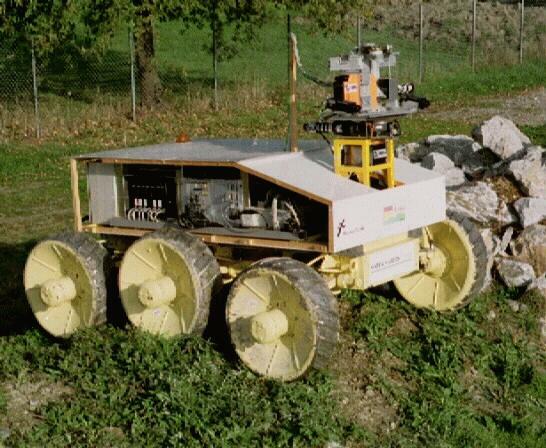 The rover Adam ("Advanced Demonstrator for Autonomous Mobility") is the first outdoor robot of the Robotics and AI group. As you can guess, he is at the origin of the definition of the EDEN project. Adam has been conceived in the 70' at VNII Transmach, in St Petersburg (actually Leningrad, at that time). 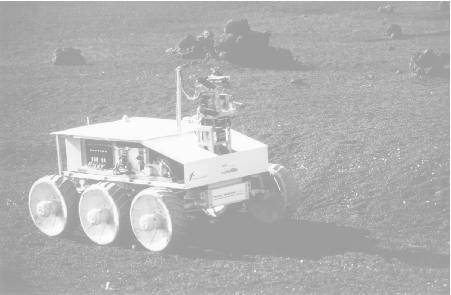 It has been imported in France by Matra Marconi Space and Framatome, and was the demonstrator of the Eur�ka project AMR until 1993, when it was let to LAAS. During three years, Adam was the support of our developments on autonomous navigation. We equipped it with a home made 2-axis laser range finder (that took about three minutes to scan a 100x100 range image ! ), and developped some terrain modeling functionalities, localisation and path planning methods. Several "stop, look and move" demonstrations have been performed on our experimental test site and on the Geroms test site with Adam (a video can be seen here). Adam was quite like a dinosaur: it was heavy, slow, not very clever, and it actually disappeared (in 1996). Some technical details can be seen here. 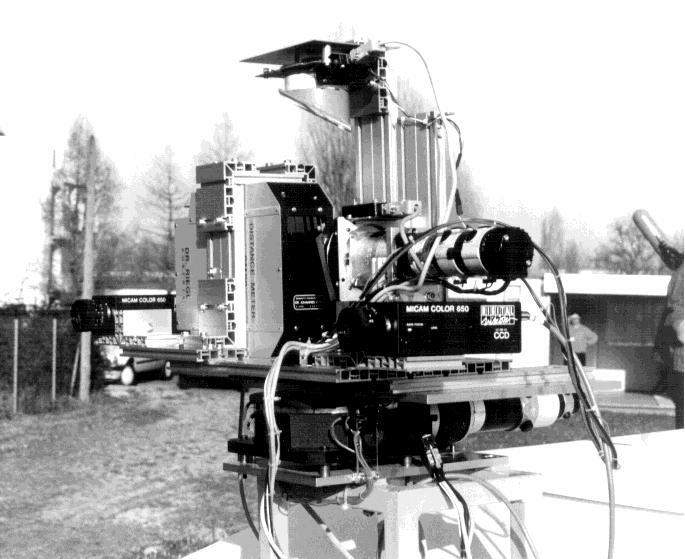 A "brother" of Adam has been used as teleoperated vehicles right after the Chernobyl catastrophe in 1986 (this is briefly mentionned here - no pictures of the robot seems to be available on the web).